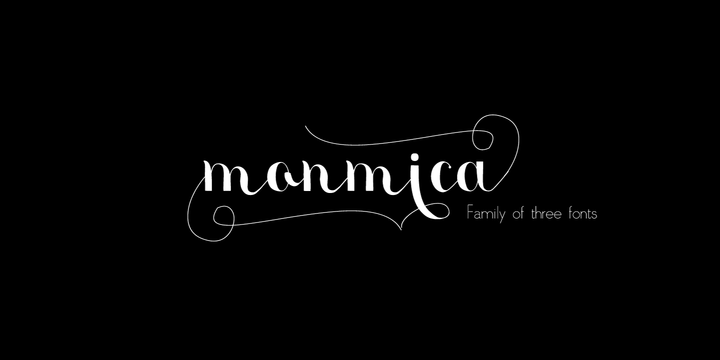 Monmica is an handwritten, calligraphic typeface created & published by Aga Silva that contains three fonts, o lot of glyphs, open type features and language support. Enjoy! A font description published on Wednesday, January 8th, 2014 in Aga Silva, Fonts by Alexandra that has 3,085 views.